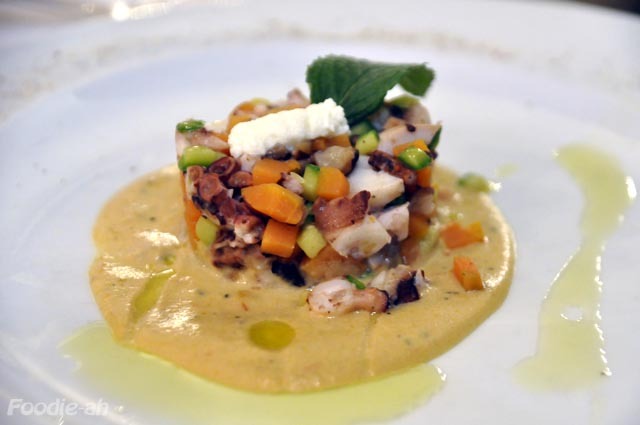 One of the memorable meals during my trip to Tuscany is the one at Walter Redaelli. I found this restaurant on the Gambero Rosso guide, which rates it with a score of 73, although it didn't award it a fork. From my experience of all the restaurants I tried out of this guide during my vacation, I would say with confidence that Walter would surely deserve a fork. 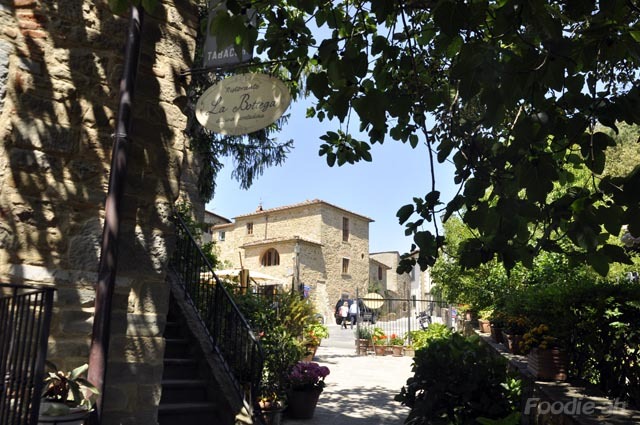 The first bonus is the location of the restaurant, which is placed within a renovated farmhouse, on the edge of a hill, giving a spectacular view of Valdichiana. The building is made of the unique bricks that seem to characterise the whole village of Bettolle, which is about a kilometer from the restaurant. The brickwork can also be appreciated in the arches and ceilings within the restaurant. The combination of the scenic countryside view and the rustic architecture gave me more than ever a complete feel of being in Tuscany. While browsing through the menu, we were served a basket different varieties of homemade bread. 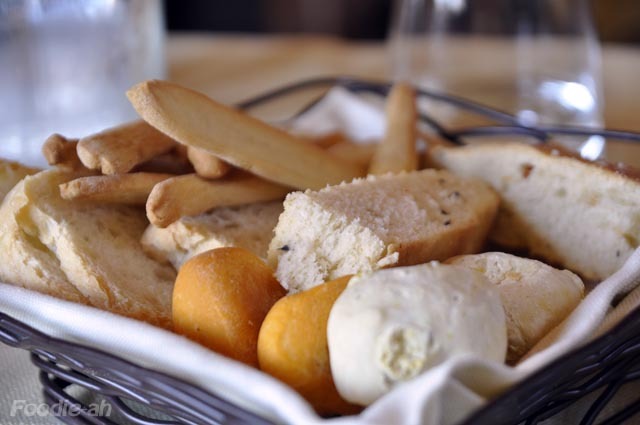 This included the classic Tuscan unsalted bread, a couple of types of rolls, some focaccia and grissini. 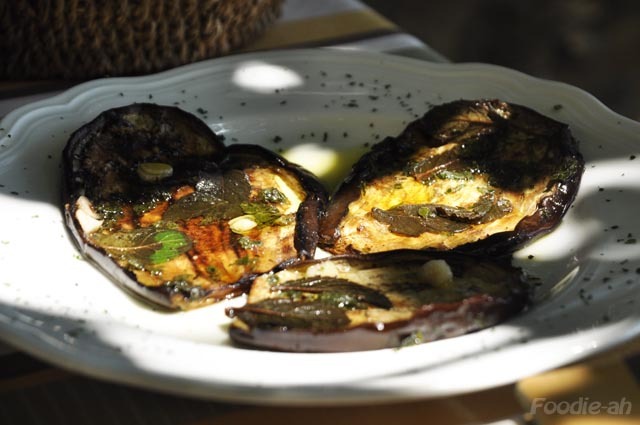 These were all fresh, and well accompanied with some locally produced olive oil of the highest standard, branded with the restaurant name itself. I stimulated my appetite with a Cinta senese marinata su misticanza con mele, noci e sedano. 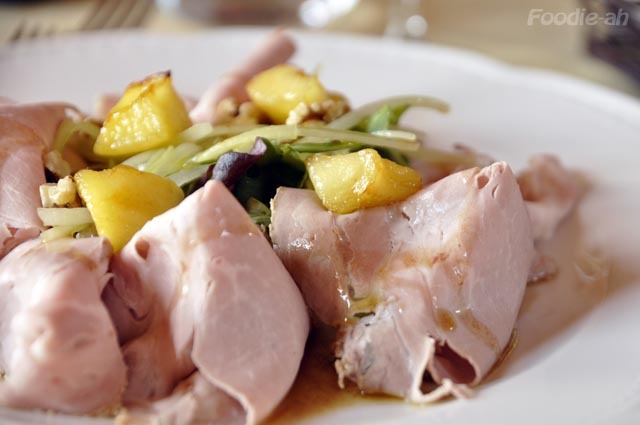 This was basically a porchetta made with the local pork (so called Cinta Senese), with a salad of celery, walnuts and black olives, and topped by a few chunks of lightly cooked, warm apple. The delicacy of this dish was outstanding, with every flavour on the plate gently emerging without dominating the rest. Impressed with the starter, I was eager to try the pasta. I ordered a Pici con guanciale, asparagi, fave e pecorino. 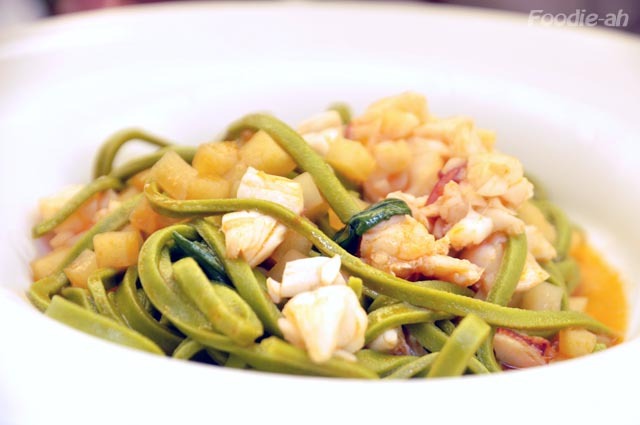 Pici is a typical local pasta made of flour and water (egg is generally not added, hence, the white colour) and hand rolled into fairly thick and irregular sort of spaghetti. It is indeed that unevenness that makes this type of pasta taste so rustic. 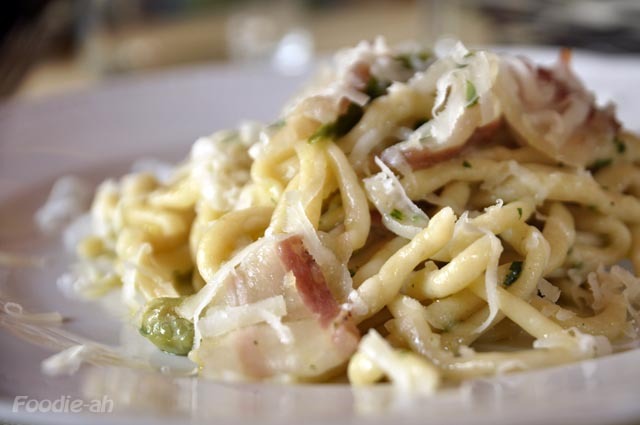 This recipe was of course a refined version than the Pici that you would have in a normal trattoria, but all the flavours were there, with the guanciale and pecorino playing the main role while asparagus and broad beans provided texture and variety to an otherwise common combination. 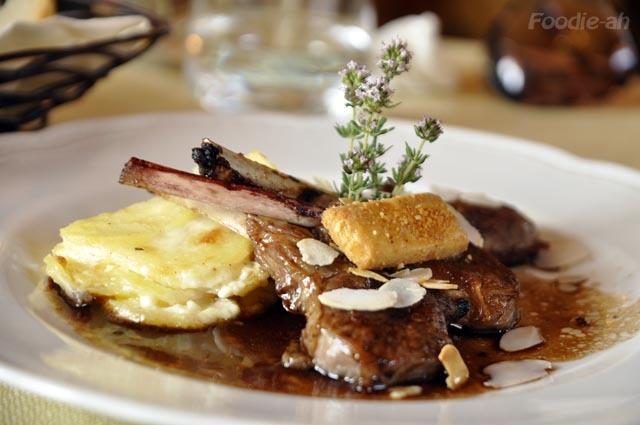 One of the mains we had was the Costolette di agnello con mandorle, liquirizia e patate gratinate. The lamb was tender and cooked medium rare, but what really animated this dish was the licorice sauce. I never thought of licorice as an ingredient for meat sauces, but it did work perfectly. Such an inspiring combination, that I will probably try this at home, some day. 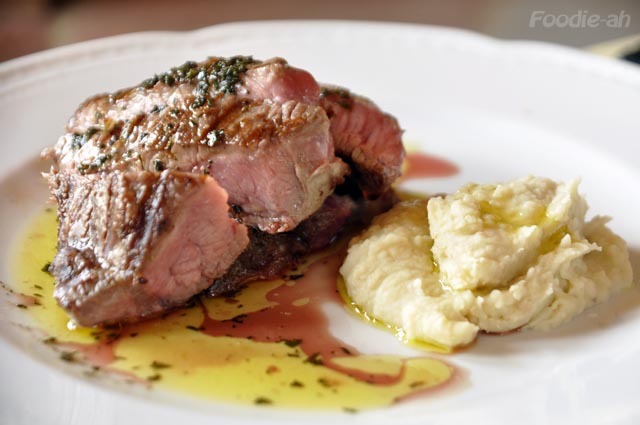 The tagliata di vitellone al dragoncello con purea di cannellini e insalata verde was also well executed, with tender juicy veal accompanied by a fabulous pureé made from Cannellini beans. This is another inspiring element, so much that I bought some Cannellini while in Tuscany and brought them with me to Singapore to try this out. 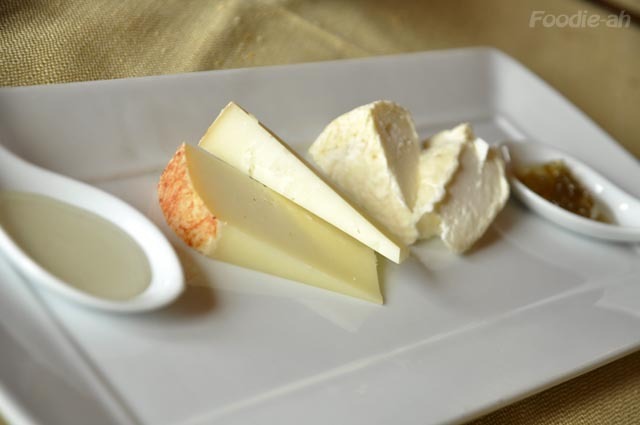 We had a selection of quality, hard Pecorino cheeses and a couple of soft goat cheeses, all served with Italian mostarda and honey. 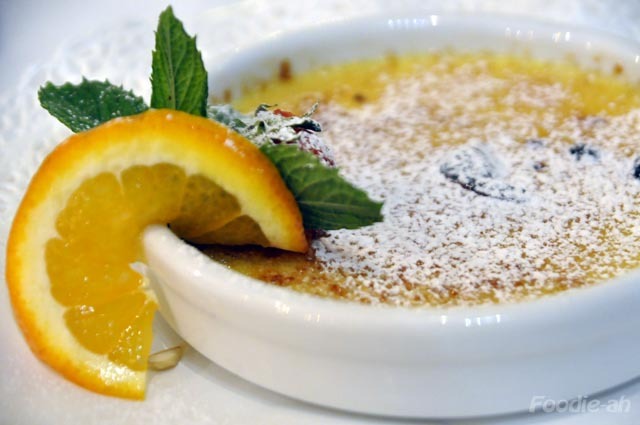 The least impressive of all courses was the dessert, which is often the case with Italian restaurants. 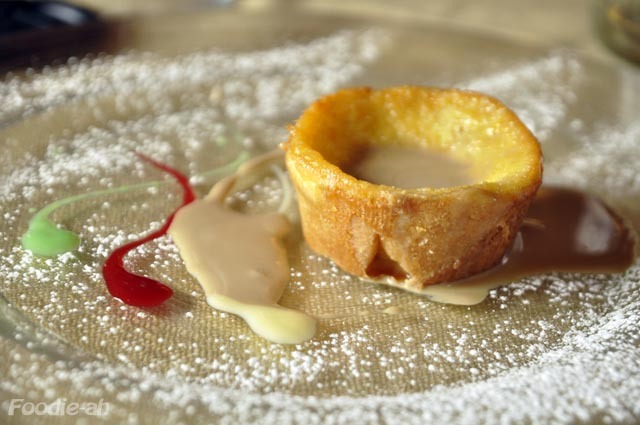 It was a sort of soufflé with a cappuccino sauce on top. Quite nice, although not outstanding enough to make me finish it, after such a fulfilling meal. The total bill including wine was 76 EUR for two people, which makes this restaurant incredibly attractive considering the quality and amount of food, cozy setting and service overall. 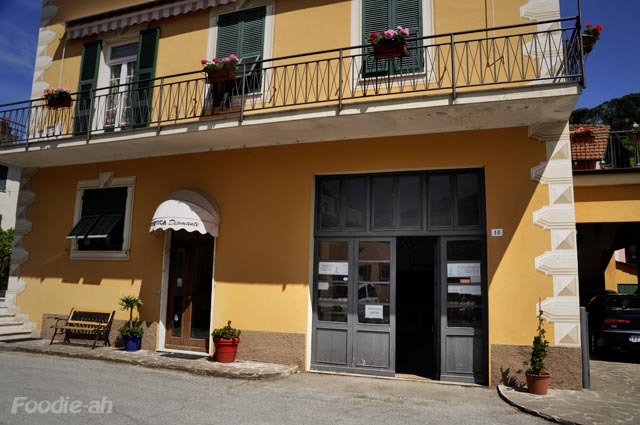 It's worth mentioning a small restaurant that was recommended to us by the owner of our accommodation while we were staying near Vicchio, in Mugello. 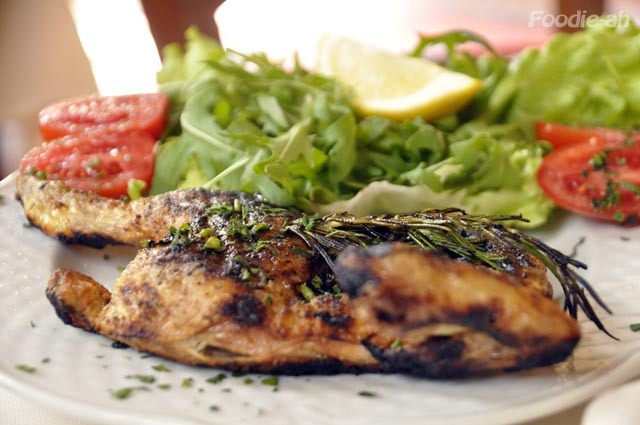 This is a modest restaurant that serves no frills, traditional food from the area. It was not particularly easy to find, due to the fact that there is no access to the parking area directly from the main road, so we ended up parking 50 meters away and walked to the restaurant. 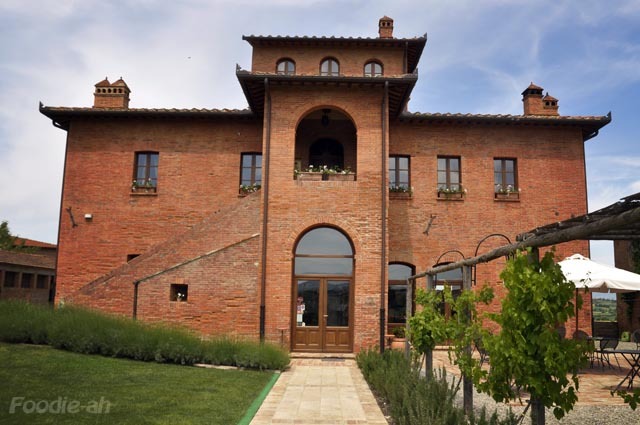 The interior was spacious but rustic, with various Tuscan style antiques laid around the entrance hall. The main dining room follows a more classic renaissance style and is more grand, as the name of the restaurant suggests. 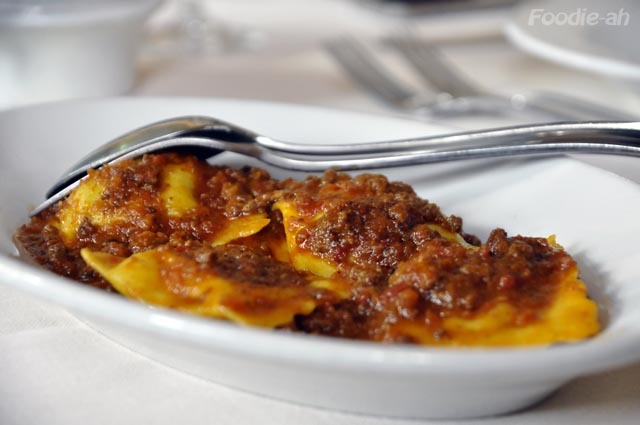 The most notable dish was the Tortelli di patate con ragú: potatoes filled ravioli in a tomato based ragu sauce. 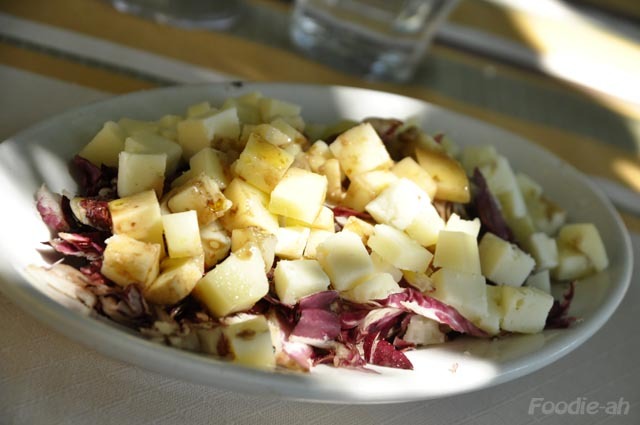 This is a typical peasant dish from Mugello, which represents an exception for a region that is most famous for its soups. This is what every diner shouldn't miss! Less distinguished was the grilled free range chicken with rosemary. Well executed with quality ingredients, but not something you could have in identical flavours elsewhere, including Singapore. I was far more impressed by the Peposo Imprunetino. 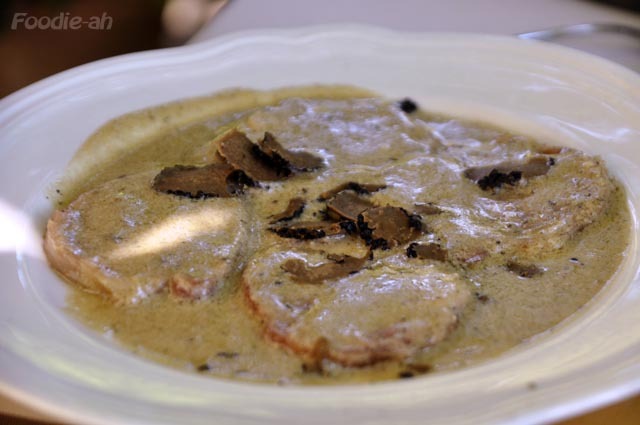 The name of the dish derives from pepper, which is plenty in this dish, and Impruneta, which is where the dish is originally from. Impruneta is famous for producing bricks and terracotta ware. It is actually in the bricks furnace that this dish was originally invented. They used to put all the ingredients into the pot, leave it in a corner of the furnace for 5 hours or so, and the dish was ready. 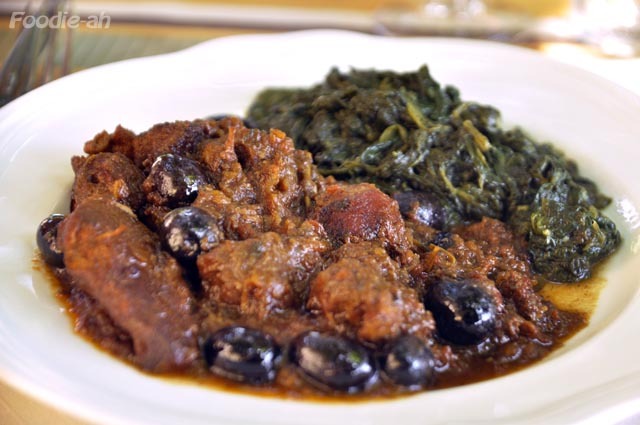 The predominant flavours were without a doubt the reduced Chianti wine and the black pepper. 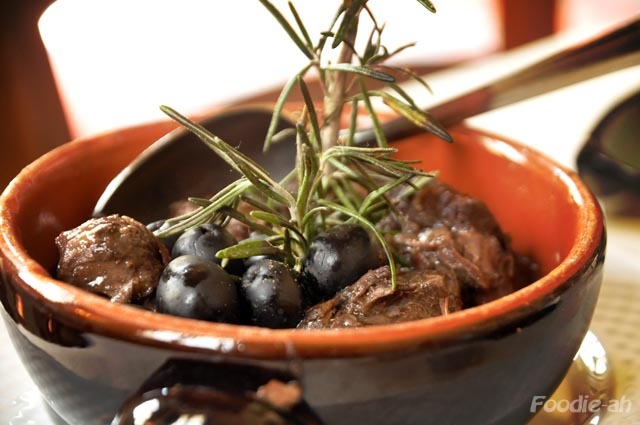 The flavours are extremely intense, and it's best eaten with accompanying bread. 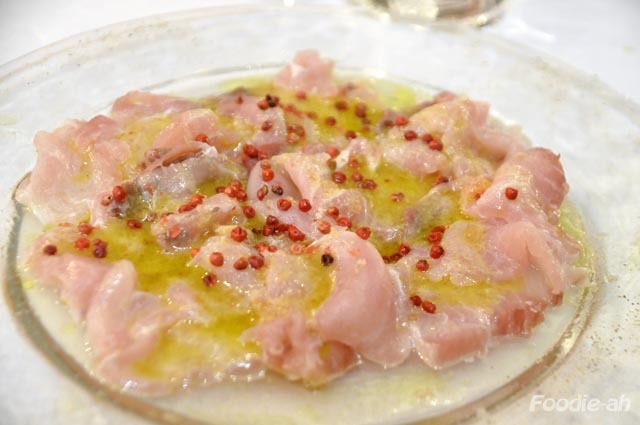 There were certainly some interesting regional dishes to try at Teatro dei Medici, although they are only a few out of a big list. I would still recommend stopping over for a peasant lunch, if you happen to be in Mugello. 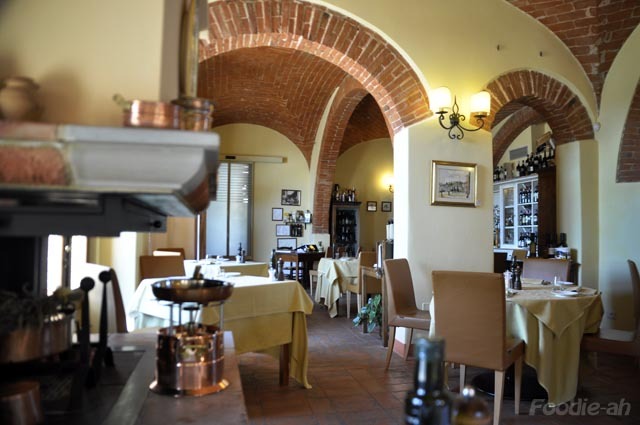 While visiting Siena, we stopped for lunch at one of the recommendations on the Gambero Rosso guide. 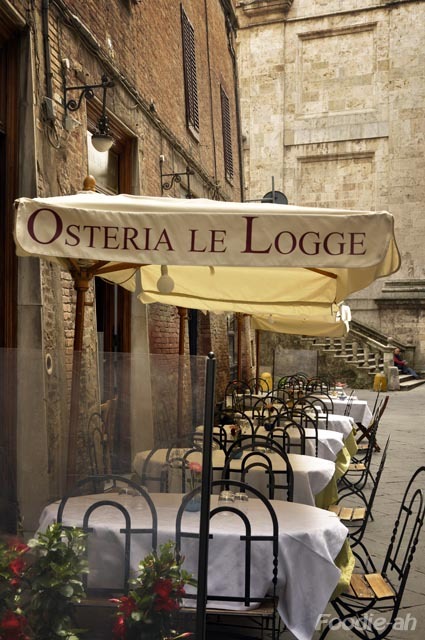 Osteria Le Logge is rated one fork on the guide, and I was a bit skeptical, given that the restaurant is located only 50 meters away from Piazza del Campo. 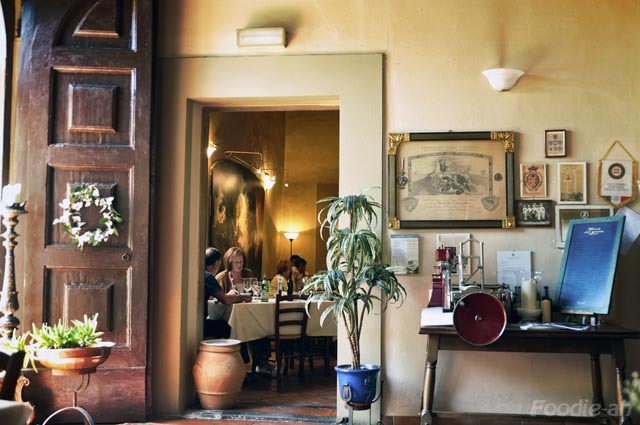 In a city that is so centered on tourism such as Siena, it is extremely hard to find a good restaurant, let alone in the immediate surroundings of its main attraction. One encouraging note was the open kitchen, which is completely visible directly from the street. You can watch the Chefs at work from the outside of the restaurant and at the time we got there, we could see a couple of them peeling kilos of ripe tomatoes with extreme dedication. 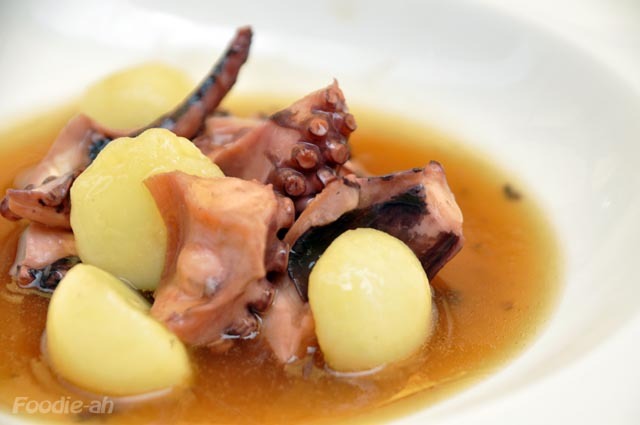 I started off with Polpo al vapore con salsa Ponzu, olio al prezzemolo e patate. This dish was the most delicate I had during my trip to Italy, but it tasted more Japanese than Italian. As I savoured it, the subtle dashi flavour immediately brought me back to the experiences of Kaiseki during my trips to Japan. 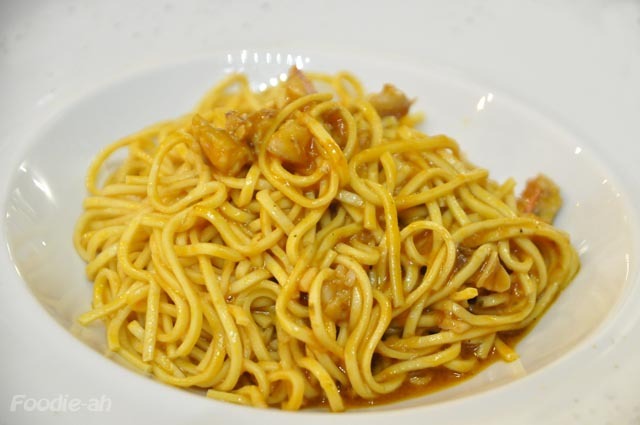 The Pasta alla chitarra con profumo di pino, astice e patate was pretty good, seasoned with a delicate lobster broth and small chunks of potatoes. What I liked the most of this pasta was its very firm texture. Now the most amazing of all, and without a doubt one of the top pastas I have eaten in my whole life. 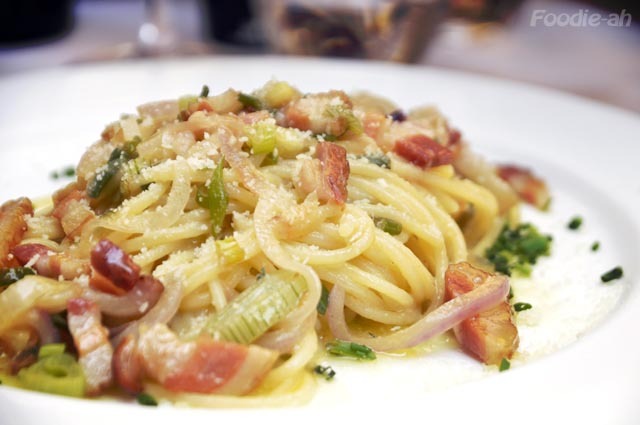 The Spaghetti Faella con Guanciale "Parisi", cipolla e pecorino was an incredibly simple spaghetti dish, seasoned with various types of onion (red, yellow, white, leeek and chives), an extremely good guanciale (from Paolo Parisi). 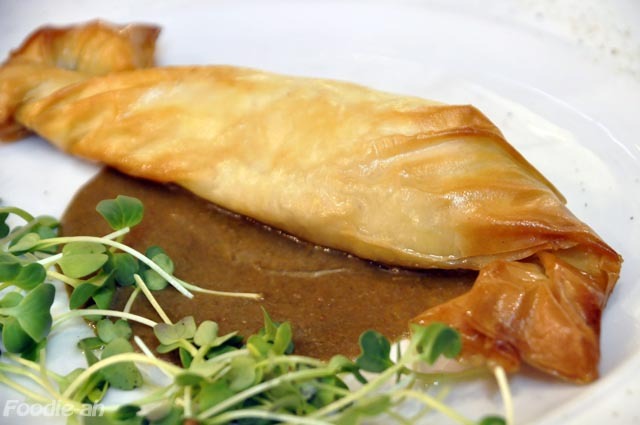 It is hard to describe how simply tasteful and delicate this was, but clearly the quality of the ingredients is key to the success of such a dish. This is what made me come back to this restaurant the next day, and it was the only "repeat" of my trip to Italy. 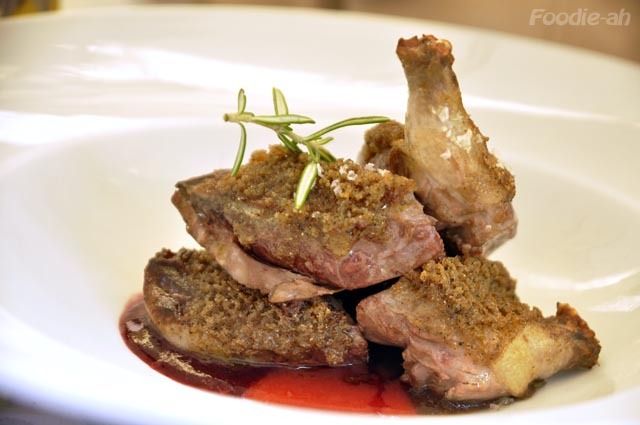 The Piccione arrosto con spezie dell'Osteria e coulis di frutta was another hit. The crispy coating gave variety of texture and flavour to the dish, while the fruity coulis added the tang required to break the 'gamyness' of it all. 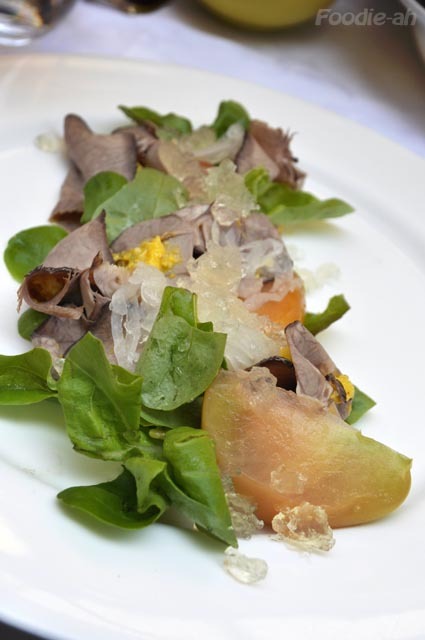 The Insalata di lingua con salsa antica e pomodori cuore marinati in birra e cipolla was a very light salad with quality fresh vegetables, very thin slices of cow's tongue and little chunks of its cooking gelatin. A well executed, enjoyable salad. We were too full and decided to share a single dessert: the Mousse di mascarpone com crema al caffé, gelato di amaretto e albicocche confit was divine. 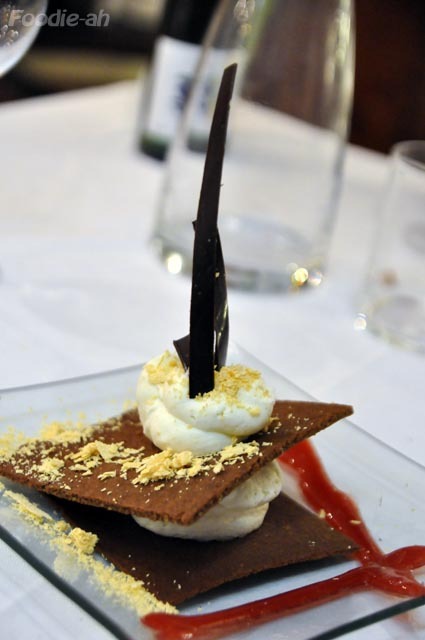 A dome of mascarpone mousse was sitting next to a gelato made from amaretto biscuits, on a bed of coffee sauce. 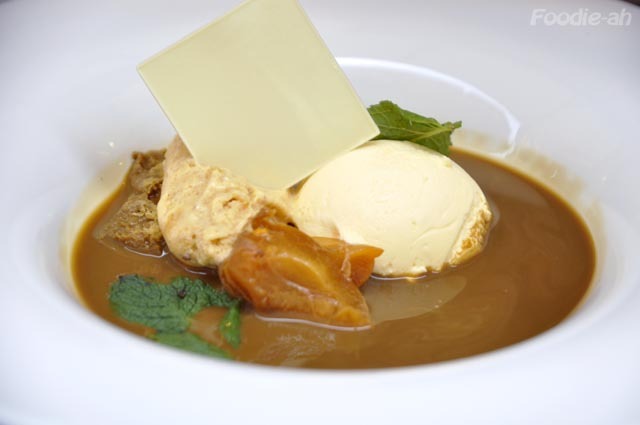 The apricot confit, together with a couple of mint leaves, were a nice touch to break the richness of the flavours. 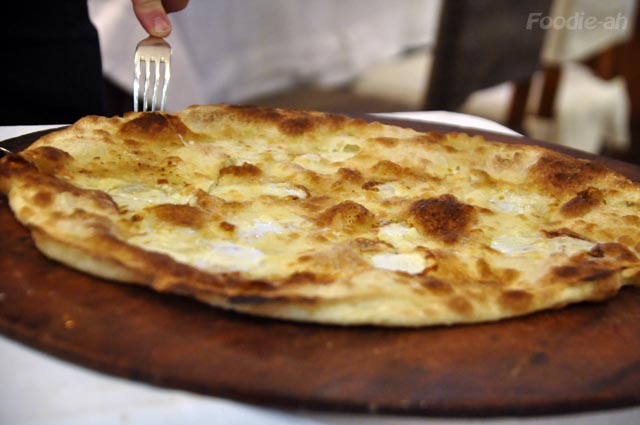 The summary is that if you happen to visit Siena this is without a doubt a must try restaurant, and considering that it's so easy to find, I don't see why not. The place tends to get busy, especially at weekends, so a booking hopefully one day in advance would be advisable to secure a table. I have been dreaming of making Croxetti pasta ever since I saw it illustrated on an Italian cooking book. 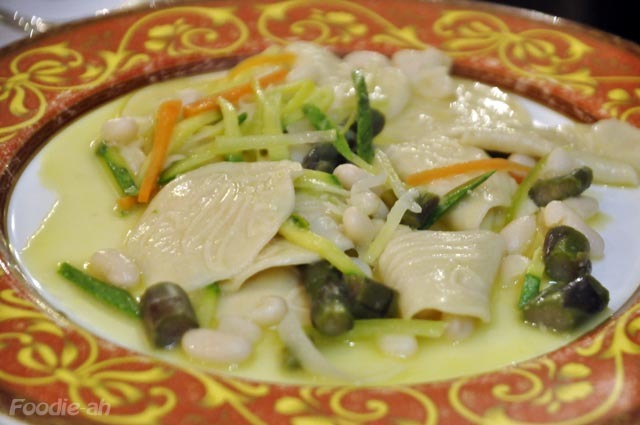 I never heard about Croxetti (or Corzetti) before reading that recipe, since this is a regional dish of Liguria and cannot be found outside of it. This is why I couldn't get hold of the mold required to make them, despite my previous attempts, which also involved my mother looking for them in Italy. 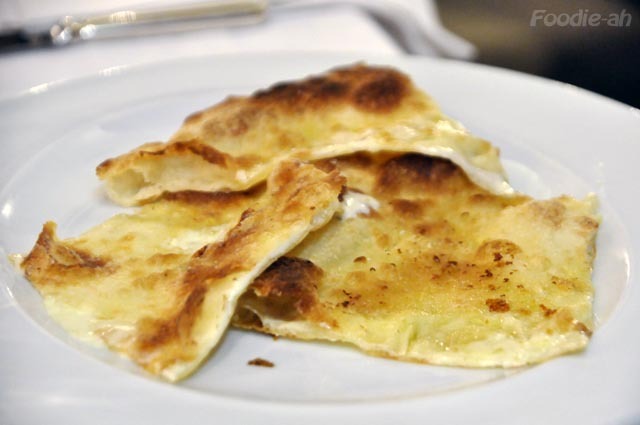 My trip to Liguria was an unmissable opportunity to taste the dish and find the tool required to make it. 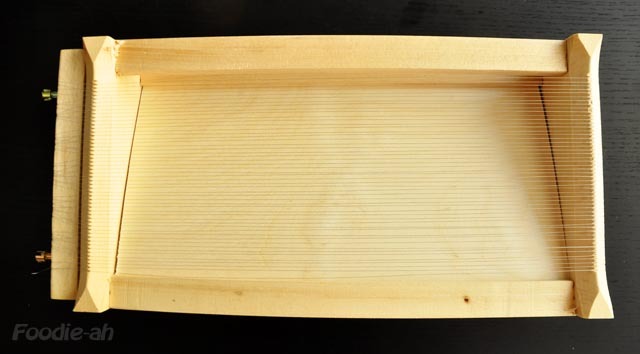 I was under the impression that these molds could be commonly found anywhere in the region, but as I asked people, I discovered that actually this dish is rarer than I thought, and there is only one carpenter left, named Pietro Picetti, who is still dedicated to maintaining the tradition. I managed to find out his location and headed off looking for him in the small town of Varese Ligure. 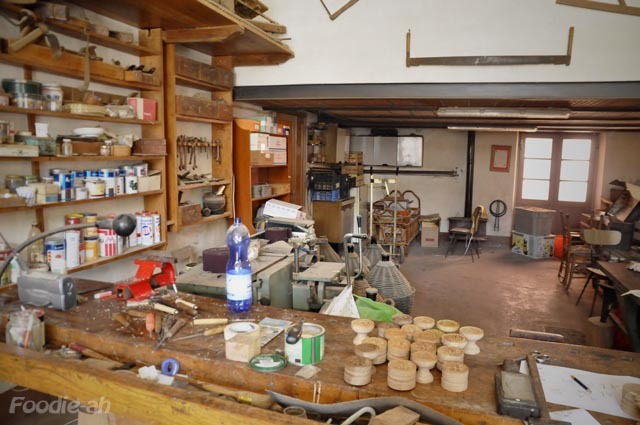 Without a specific address, I was given a description of the site of his workshop, and with my fingers crossed, hoping that the man would be there at the time of my visit, I drove to the town determined to find him. With great relief, as I spotted the entrance to his workshop, the door was open, displaying a large Italian welcome sign. I opened the conversation informing him that I am based in Singapore and I went all the way to Varese Ligure to buy some of his croxetti molds. He wasn't surprised at all. He humbly explained that he has a constant flow of visitors from all over the world, in particular Japan, who travel from far away to this small town to get their hands on his work. He showed me the orders from American and Japanese culinary schools, and told me how once he was handed over a business card by one of his Japanese visitors, only to realise a few days later that he was actually the ambassador of Japan. 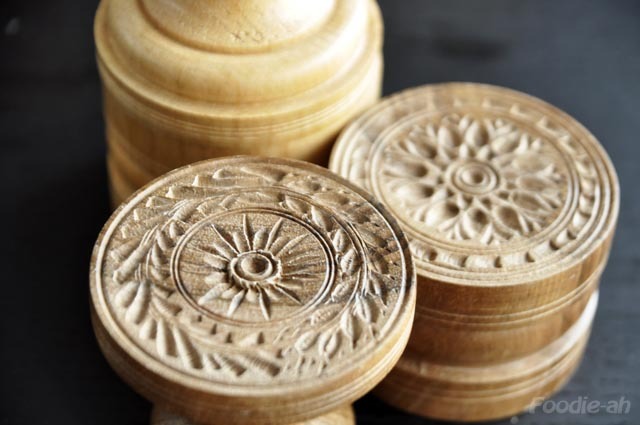 We then spent some time designing my personalised mold, and he showed me the original wooden molds from his great grandfather, who used to be in exactly the same trade (see picture below). Some of them are cracked, others have been slightly damaged by termites, and you can sense that these pieces are over a hundred years old. His designs are still based on the original designs from his great grandfather: wheatears, stars, crosses, olive leaves, and of course the initials of the owners, or the names of the restaurants. Besides ordering a custom made mold, I also bought a couple of ready made ones. One in beech, and the other one in walnut. The first has two different star symbols on each side. This is a reproduction of the original mold passed to him by his great grandfather. The second one represents a sun surrounded by wheatears. 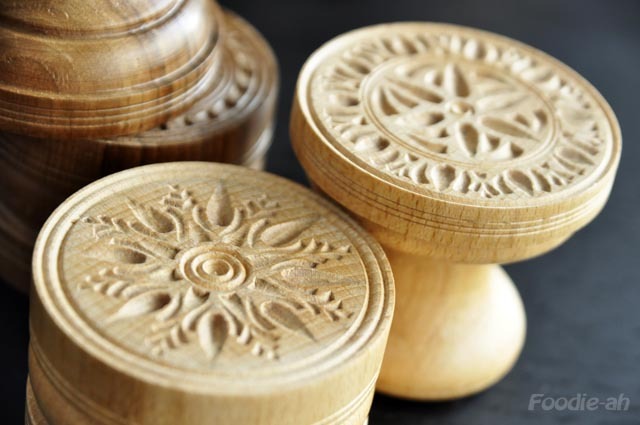 I was amazed by the beautiful designs, and the richness of detail. Just looking at them brought thoughts of the middle ages, the powerful families and their attachment to their own emblems, to the extent that they used to engrave them even into their food. Such intricate patterns, once printed into the dough, make its surface uneven, enhancing its ability to absorb pasta sauce. 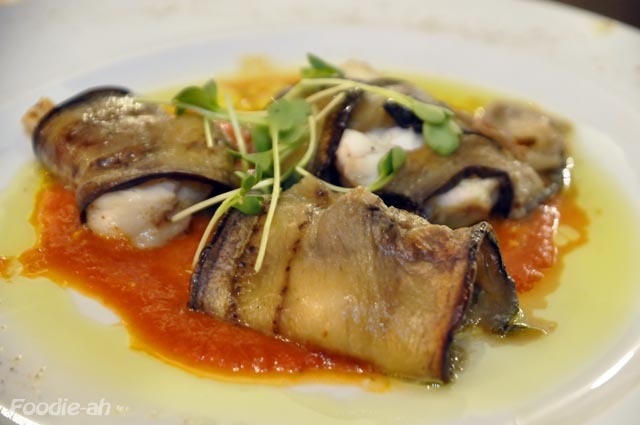 In Liguria, croxetti are traditionally eaten with a pine nuts sauce, pesto, or a tomato sauce. 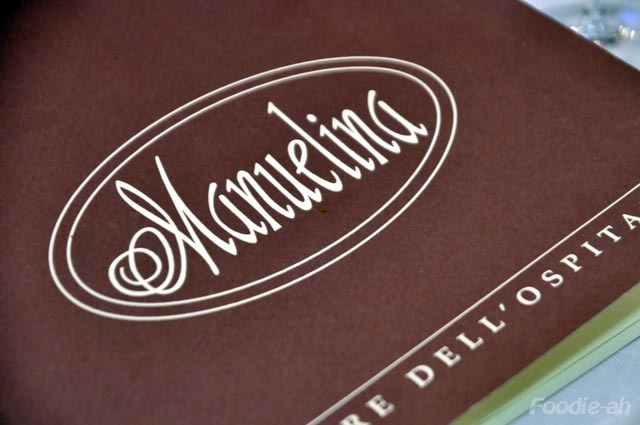 The recipes for the dough and the sauces are handed over by the man to all his customers, as he is keen to spread and maintain the tradition of the original sauces. All molds are autographed by their creator on the cutting side - it states "Pietro Picetti made this in Varese Ligure". The experience of buying an utensil directly from the artisan made me reflect on the value of what we buy. Nowadays we are all so used to shop around, find what we like, on a shelf and buy it. I must admit that buying from the artisan evokes completely different emotions. You are not just given an utensil, but also the history of it, and the passion that went into it. 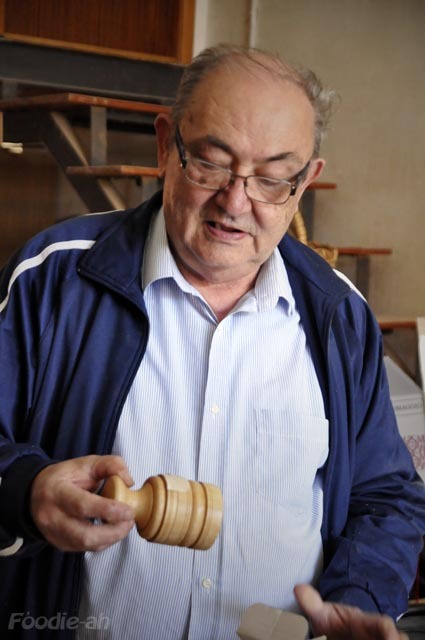 The value of what you buy becomes priceless, since it is not just a commercial item - it has been uniquely crafted by an artisan. 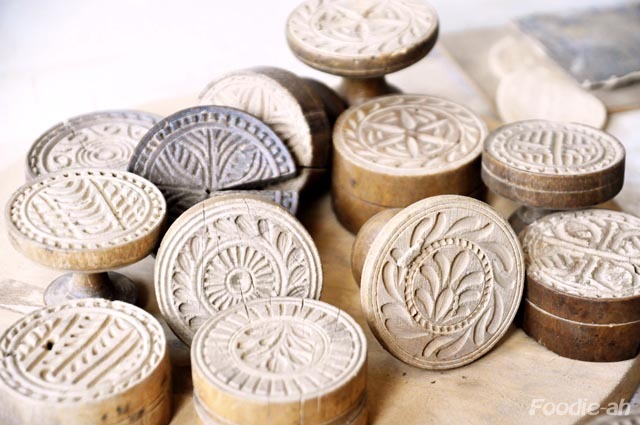 These wooden molds serve the purpose of cutting and shaping the croxetti. The bottom of each mold is very sharp, and is used to cut out a circle of dough from a 2.5 mm sheet. 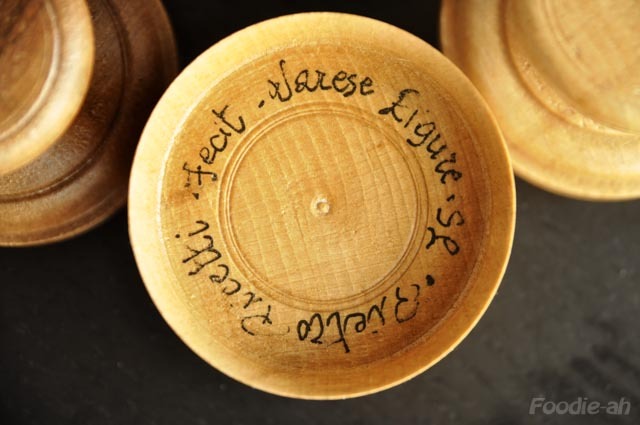 The circle is then placed inbetween the two pieces of wood, and compressed so that the drawings remain engraved into both sides of it - just like a coin. 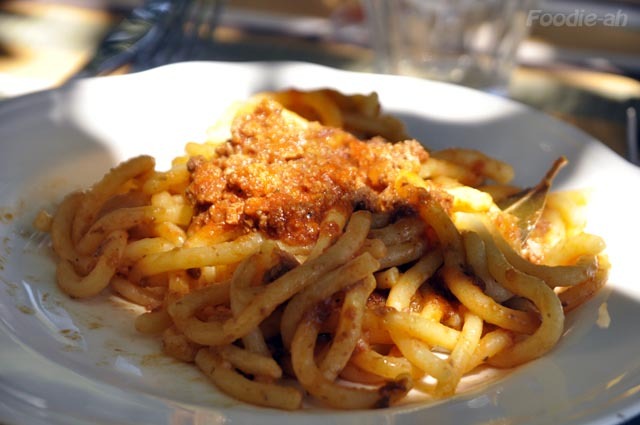 Pietro also recommended a place where I could stop for lunch and have the traditional Croxetti from Varese Ligure. 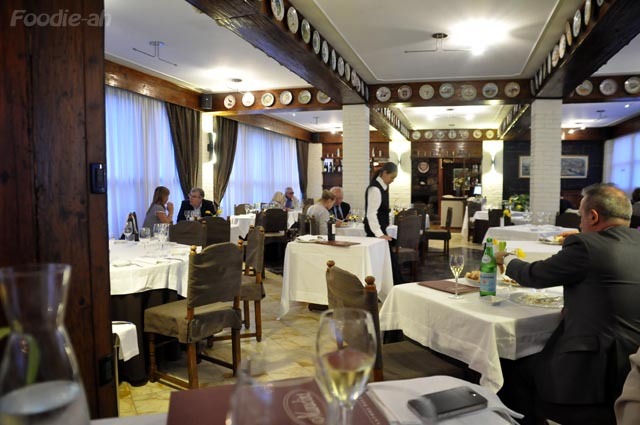 The restaurant is within a hotel called "Albergo Amici", located a 5 minutes walk from Pietro's workshop. I had a portion of delicious Croxetti with pine nuts sauce. 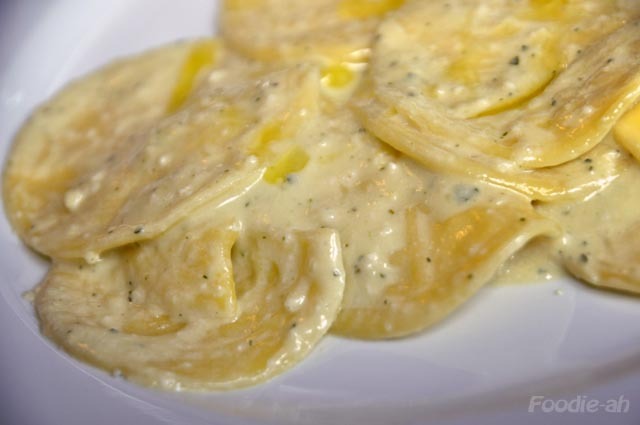 I loved the texture of this pasta, very firm and rustic, paired with a flavorful nutty and herby sauce. It goes without saying that every single medallion I ate was imprinted with a drawing made by Pietro specifically for that restaurant. A video of Pietro Picetti on the topic can be found on YouTube. Finally I am back from my 2 weeks trip to Italy. 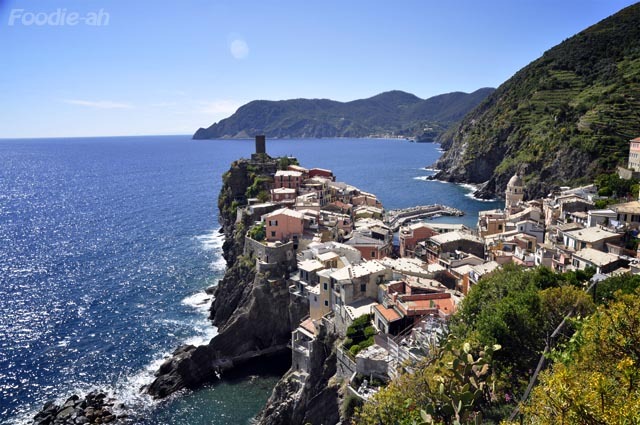 The trip was an enriching experience through the lands of Toscana and Liguria, and it gave me the opportunity to discover even more of my native land: the colors, beauty, flavours and traditions of the countryside. Sightseeing in tiny villages, I came back with a few tools that I purchased from their little shops. 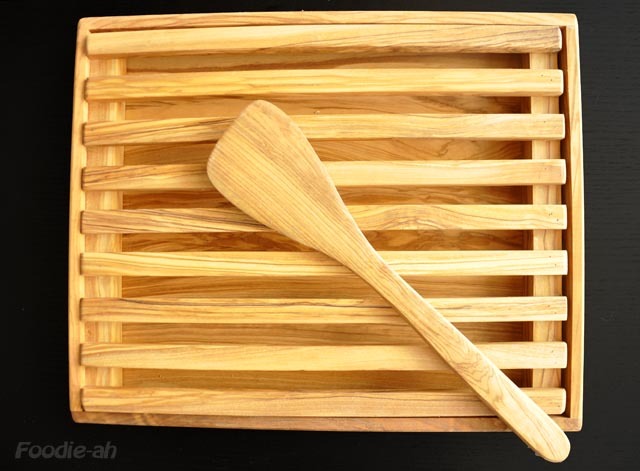 Visiting Toscana and Liguria, the lands of olive oil, it felt natural to buy some olive wood utensils, such as this bread tray. 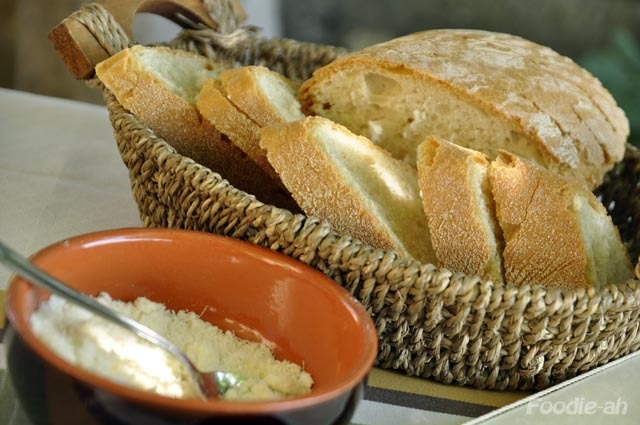 This is ideal to let my focaccias and loaves rest just after baking, letting plenty of air circulate below the bread. 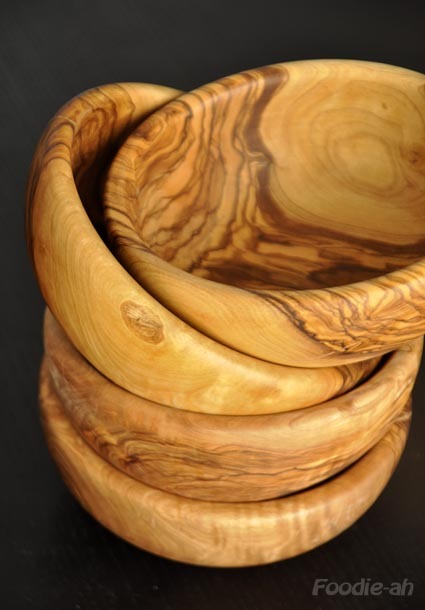 I love the beautiful veins of the wood that show on these olive wood bowls. These are all one piece, carved out of a log. All these utensils have been treated with oil, so that they won't absorb any more liquid during their use. 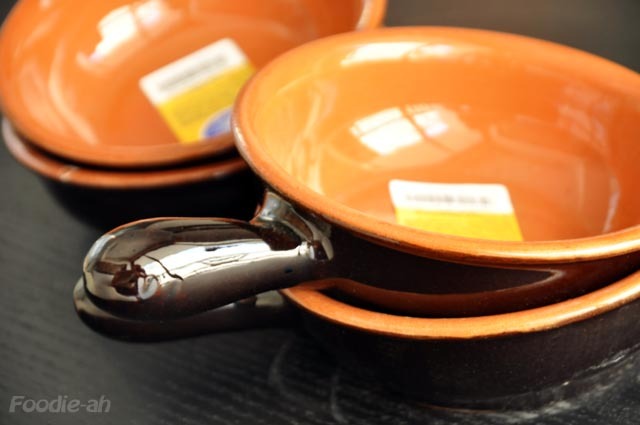 I have been looking for terracotta pots for the longest time, but unfortunately they are hard to find in Singapore. I bought this set of pots that are originally from Siena (Vulcania brand) and can be used not only for serving food, but also for cooking. This is a very classic Italian design, which brings back memories from when I was a kid. I love ravioli, but what discourages me from making them regularly is the amount of work required to assemble them one by one. Making the filling and the dough is not a big deal, but cutting the sheets and sticking them together with the filling does take some time, if you intend to make a few dozens of them. 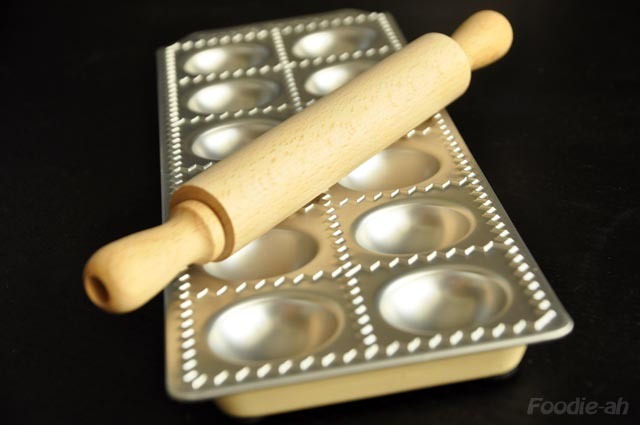 I didn't need to think twice when I bought this ravioli making mould to make that process a breeze. The good thing is that the mould is designed for large ravioli, just the way I like them. I am looking forward to try this out! One of the things I will never forget is visiting my grandmother in Abruzzo and having her "pasta alla chitarra", very rich in egg yolks, and dressed with her tomato sauce, made of her own home grown tomatoes. I still remember her using this tool, which is rather hard to find outside of Italy. It wasn't the cheapest buy, but worthwhile having, as it felt like buying a piece of tradition. The tool can be used both sides, to make thin tagliolini, or wider fettuccine. 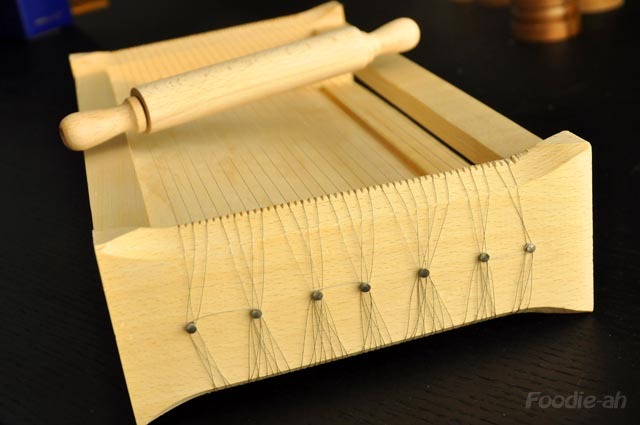 This tool is called chitarra, which in Italian means guitar. The reason is pretty straightforward, given that it's a set of strings mounted onto a wooden frame, just like the well known music instrument. Once you lay the thin sheet of dough, a gentle roll over it is sufficient to cut it into perfectly regular tagliolini, which will have that characteristic square section. I am back, enriched with experiences and 3 extra kilos around my waist, so I will wait a little before making the most out of these tools. Nevertheless, it's all extremely tempting!